Want to be prepared for your online courses? DESCRIPTION: This course covers the basic principles of the English common law with a special emphasis on sections of the California Penal Code most frequently used by police officers. Topics will include the elements of the major crimes and the substantive law. PREREQUISITE: English 28. DESCRIPTION: This course is designed for students interested in learning more about medical terminology and basic anatomy and applying this knowledge to a variety of allied health professions. Students will develop a comprehensive medical vocabulary applicable to all specialties of medicine through the study of Greek and Latin prefixes, suffixes and root words. Students will also develop a basic understanding of anatomy and the function of major body systems. This course covers law office procedures for the legal secretary including discussion of different kinds of law practices; legal office staff and technology used in today’s law firm; development of legal vocabulary and legal correspondence; the history of law and of the court structure; codes and court rules; and preparation of civil lawsuit pleadings from initial filing to trial. DESCRIPTION: This is an introductory course in robotics; with hands-on experience on building a PARALLAX robot. Students learn about electric motors, servos, sensors, switches, and actuators. Students learn Basic Stamp computer programming and integration into a working robotic unit; including mechanical assembly, connecting electronic components, wiring and soldering, and testing. DESCRIPTION: The course introduces students to fundamental ‘Computer Literacy’ concepts. Students will learn to use Windows 7 on the PC-compatible computers as well as MS Office 2013, a word processing program (MS WORD), a spreadsheet program (MS EXCEL), MS PowerPoint and Database (MS Access). This class is intended for students requiring ‘hands-on’ knowledge of computer applications. This class will be accepted as a prerequisite for all advanced applications classes listed under CSIT and CAOT. DESCRIPTION: This course introduces students to fundamental concepts of computer science and programming. Applications will NOT be taught. Programming will be introduced with the BASIC/Python programming language. This class is intended for Computer Science, Engineering, Math and Science majors. It is a prerequisite for all CSIT programming classes and is acceptable as a prerequisite for application classes. DESCRIPTION: This class helps students understand hardware topics in CompTIA A+ and Network+ certification exam. Students learn technology of computer hardware such as microprocessor, RAM, BIOS/CMOS, motherboard, power supply, HDD, CD, DVD, video, sound, and printer; how these form a working system; and simple troubleshooting of PC systems. Computer and networking hardware offers hands-on training in state-of-the-art computer hardware and software systems. In this class we will develop skills such as installation and troubleshooting of CPU, hard drives, CD drive, network cards, RAM memory, system controller & the I/O controller, peripherals, etc. Computer safety & maintenance, BIOS & CMOS settings, network cabling and mobile device techniques are also covered. Students are encouraged to take CS916, CS934, CS965 concurrently to prepare for the CompTIA A+ and Network+ certification exam. RECOMMENDED: CSIT 901 or equivalent experience. DESCRIPTION: This course illustrates how the Microsoft Office 2010 software package can be used to solve typical business problems. Students will use EXCEL, WORD, PowerPoint, ACCESS and Share Point. Share point is a server based solution from Microsoft for managing and provisioning of intranet portals, extranets and websites, document management and file management, collaboration spaces, social networking tools. RECOMMENDED: CS 901 or CS 902 or equivalent experience. RECOMMENDED: Students are encouraged to take CS 965 and CS 916 (Hardware Hands-on Lab) concurrently to complete A+ Network+ training. DESCRIPTION: This course covers operating system topics in the A+ certification exam. It provides students with the technical foundation in current Microsoft operating systems. It covers hands-on experience in OS installation, configuration, administration, and troubleshooting. It also covers OS command-line interfaces, batch file programming, and windows scripting. This course prepares students to perform operating system support tasks. 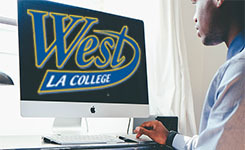 It is a required prerequisite to enter WLAC's Computer Network and Security Management degree/certificate programs. PREREQUISITE: CSIT 990. DESCRIPTION: This course covers data structures and advanced programming techniques utilizing the JAVA programming language. Data structures will include multi-dimensional arrays, stacks, queues, dynamically allocated linked lists and trees. RECOMMENDED: CS 952 or equivalent experience. DESCRIPTION: This course introduces students to building dynamic and interactive web pages using modern web programming languages including HTML 5 and CSS (Cascading Style Sheet). This course features hands-on assignments and projects, a step-by-step methodology, as well as additional exercises. RECOMMENDED: CS934 and CS965 (or equivalent experience). DESCRIPTION: This course covers topics including; networking, network terminology and protocols, network standards, LAN, WAN, the layers of the OSI reference model, cabling, and cabling standards. In addition, this course provides students with their first exposure to configuring Cisco routers and switches by learning the Cisco Internetworking Operating System (IOS). The course utilizes hands-on lab exercises and demonstrations to reinforce network concepts and theories. This course prepares students for the ICND1v2 Exam 100-101 and CCNA Exam 200-120. RECOMMENDED: CO SCI 972. DESCRIPTION: This course is equivalence to Semester III & IV of the Cisco Network Academy. Part 3 of this course describes the architecture, components, and operations of routers and switches in a large and complex network. Students learn how to configure routers and switches for advanced functionality. By the end of Part 3, students will be able to configure and troubleshoot routers and switches and resolve common issues with OSPF, EIGRP, STP, and VTP in both IPv4 and IPv6 networks. Students will also develop the knowledge and skills needed to implement DHCP and DNS operations in a network. Part IV of this course discusses the WAN technologies and network services required by converged applications in a complex network. The course enables students to understand the selection criteria of network devices and WAN technologies to meet network requirements. Students learn how to configure and troubleshoot network devices and resolve common issues with data link protocols. Students also develop the knowledge and skills needed to implement IPSec and virtual private network (VPN) operations in a complex network. Students completing this course prepared to take the Cisco ICND2 and/or CCNA 200-120 certification exams. This class uses free, online materials, also known as Open Educational Resources (OER). Contact the instructor for more information. RECOMMENDED: Counseling 008 should be taken prior to Counseling 020. DESCRIPTION: This course provides students with the information to make appropriate educational, career and lifestyle choices. Topics examined include educational programs and their requirements, career resources and the career decision-making process, career planning, personal assessment, steps for success, values clarification, exploring personality and interests, skills assessment, the world of work, career options, making decisions, job search, preparing a winning resume, interviewing skills, and strategies for managing your career. Students will design their own educational plan. Contact Vidal Valle at 310-287-4210 for info. This section will be offered in a hybrid format, which requires students to do part of their work online. On-campus meetings will be held at the times shown. 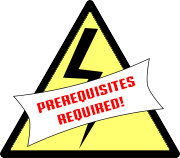 PREREQUISITE: Level placement by the ESL assessment or completion of ESL 5A with a 'C' or better, or English 20A. RECOMMENDED: ESL 6B. DESCRIPTION: Students study advanced grammar, punctuation, and academic essay writing. Students write academic essays in response to readings and group discussions, and practice self-editing and revising. DESCRIPTION: This course provides the fundamentals of the Japanese language with emphasis on communication skills in listening, speaking, reading and writing in Japanese. The Japanese syllabary for Hiragana, Katakana and basic Kanji are introduced. In addition, the course introduces the study of Japanese culture. This section will be offered in a ‘hybrid’ format, which requires students to do part of their work online. On-campus meetings will be held at the times shown. PREREQUISITE: Mathematics 112 with a grade of 'C' or better, or appropriate placement level demonstrated through math assessment process. DESCRIPTION: This is a first course in algebra. It covers the fundamental operations on natural numbers and carries on a logical development through all the real numbers. The course includes the solution of linear and quadratic equations and their graphs, factoring and statement problems. This section requires mandatory on-campus orientation and exams on Monday/Saturday afternoons, dates to be announced. Contact instructor for details. PREREQUISITE: Mathematics 125 or equivalent, with a grade of 'C' or better, or appropriate placement level demonstrated through math assessment process. DESCRIPTION: This course is an introduction to probability, measures of central tendency and dispersion, descriptive and inferential statistics including sampling, estimation, hypothesis testing, analysis of variance, chi-square and test, linear correlation and regression analysis. PREREQUISITE: Math 125 or equivalent, with a grade of "C" or better, or appropriate placement level demonstrated through math assessment process. DESCRIPTION: This course covers algebraic, exponential, and logarithmic functions, theory of equations, linear systems, functions of real numbers, probability and mathematical induction. NOTE: This course is a prerequisite for the Paralegal Program. DESCRIPTION: An introductory course in formalizing the career of the paralegal; an introduction to law and ethics; social forces and the law; comparison of the role of the legal assistant and the lawyer; and an introduction to legal terminology and bibliography, including research problems. PREREQUISITES: Paralegal 10 and English 101. DESCRIPTION: A study of the basic objectives of the management of a law office; a study of hardware and software used in a law office; an examination of indexing and filing principles; law office manuals; a study of basic accounting principles; practice in and study of law office correspondence. DESCRIPTION: This course will take an in depth look at the California Workers’ Compensation system, from the occurrence of a work related injury/illness to the final resolution. PREREQUISITE: Spanish 002 with a grade of “C” or better or three years of high school Spanish. DESCRIPTION: This course provides Spanish grammar review and seeks to perfect fluency, comprehension, and cultural knowledge through dramatic films, short novels, poetry, plays, music, and magazines. Instructors will assign 16-18 hours of lab assignments as part of this class. Students taking this class on-campus will complete 16-18 hours of lab work for these courses in the first floor of the HLRC Building. Students taking this class online will complete 16-18 hours of lab work online. This section will be offered in a 'hybrid' format, which requires students to do part of their work online. On-campus meetings will be held at the times shown. PREREQUISITE: Spanish 003 with a grade of “C” or better. DESCRIPTION: This course provides a review of the more difficult aspects of grammar and seeks to perfect comprehension, fluency, and cultural knowledge. Readings and discussions of Spanish and Spanish-American literature, history and culture are the basis for regular composition assignments.